Acquired deafness is usually associated with aging or loud noise exposure and is much more common than genetic deafness, by roughly two orders of magnitude. Congenital deafness occurs in 1-2 births out of every 1,000 births in developed countries and 2-4 per 1000 live births in developing countries. Genetic causes of the autosomal recessive inheritance is the most common form, accounting for more than 75% of all congenital deafness. Non-inherited abnormalities of the inner ear, such as the Mondini malformation, account for roughly 20% of congenital sensorineural deafness. The bulk of the remaining (genetic) deafness is non-syndromic, meaning that it does not have any obvious distinguishing features. Non-syndromic means that deafness occurs in isolation, without other associated disorders. Most non-syndromic hearing losses are caused by connexin gene mutations. About 80% of genetic hearing loss is non-syndromic. The following paragraphs describe the nomenclature for non-syndromic deafness. Autosomal dominant deafness is passed directly through generations. It is often possible to identify an autosomal dominant pattern through simple inspection of the family tree. Examples of autosomal dominant deafness are missense mutation in COL11A2 (DFNA13) (Leenheer et al, 2001). COL11A2 encodes a chain of type XI collagen. Alport syndrome is caused by mutations in COL4A3, COL4A4 or COL4A5. The classic phenotype is renal failure and progressive sensorineural deafness. The dominantly form of X-linked CMT is caused by a mutation in the connexin 32 gene mapped to the Xq13 locus. Usual clinical signs consist of a peripheral neuropathy combined with foot problems and "champagne bottle" calves. Sensorineural deafness occurs in some (Stojkovic and others, 1999). As noted above, the connexin gene is also associated with a large percentage of cases of non-syndromic deafness. There are several other associated neuropathies and deafness syndromes. Autosomal recessive demyelinating neuropathy, autosomal dominant hereditary neuropathies type I and II, and X-linked hereditary axonal neuropathies with mental retardation are all associated with deafness (Stojkovic et al, 1999). Oculoauriculovertebral dysplasia (OAVD) or Goldenhar's syndrome was originally described in 1881. It includes a complex of features including hemifacial microtia, otomandibular dysostosis, epibulbar lipodermoids, coloboma, and vertebral anomalies that stem from developmental vascular and genetic field aberrations. It has diverse etiologies and is not attributed to a single genetic locus. The incidence is roughly 1 in 45,000 (Scholtz et al, 2001). Jervell and Lange-Nielsen Syndrome is associated with cardiac arrhythmias. There is, by prolongation of the QT interval, torsade de Pointe arrhythmias (turning of the points, in reference to the apparent alternating positive and negative QRS complexes), sudden syncopal episodes, and severe to profound sensorineural hearing loss. Mohr-Tranebjaerg syndrome (DFN-1) is an X-linked recessive syndromic hearing loss characterized by postlingual sensorineural deafness in childhood, followed by progressive dystonia, spasticity, dysphagia and optic atrophy. The syndrome is caused by a mutation thought to result in mitochondrial dysfunction. It resembles a spinocerebellar degeneration called Fredreich's ataxia which also may exhibit sensorineural hearing loss, ataxia and optic atrophy. The cardiomyopathy characteristic of Freidreich's ataxia is not seen in Mohr-Tranebjaergt syndrome. Classic features of Norrie Disease include specific ocular symptoms (pseudotumor of the retina, retinal hyperplasia, hypoplasia and necrosis of the inner layer of the retina, cataracts, phthisis bulbi), progressive sensorineural hearing loss, and mental disturbance, although less than one-half of patients are hearing impaired or mentally retarded. Pendred Syndrome is deafness associated with thyroid disease (goiter). 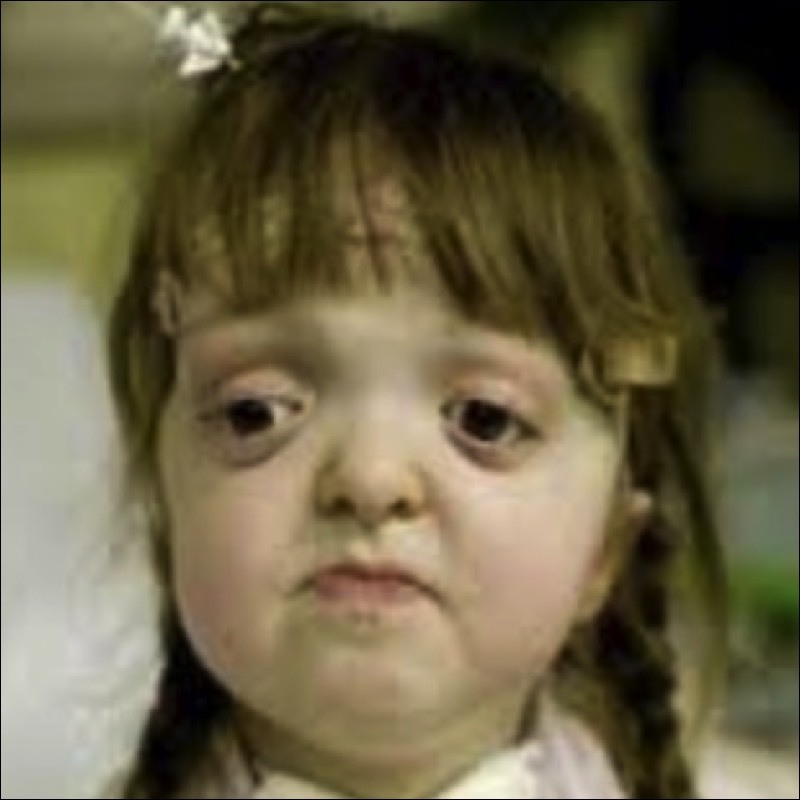 Stickler syndrome is caused by mutations in COL11. It is characterized by hearing impairment, midface hypoplasia, progressive myopia in the first year of life, and arthropathy. Treacher Collins syndrome (OMIM entry TCOF1) is characterized by coloboma of the lower eyelid (the upper eyelid is involved in Goldenhar syndrome), micrognathia, microtia, hypoplasia of the zygomatic arches, macrostomia, and inferior displacement of the lateral canthi with respect to the medial canthi. 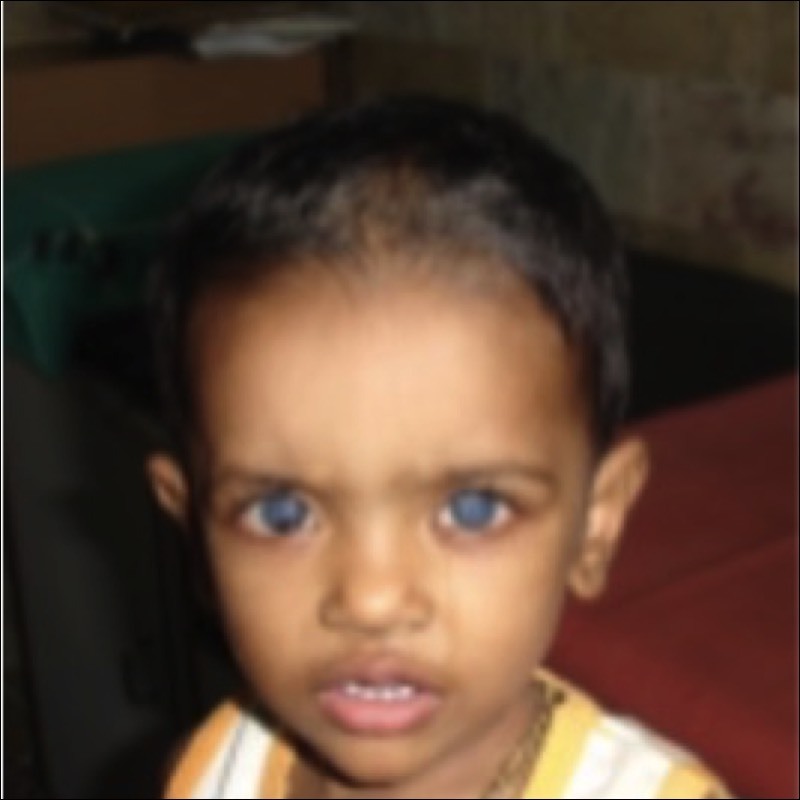 The clinical symptoms of Waardenburg Syndrome (WS) type I and II include lateral displacement of the inner canthus of each eye, pigmentary abnormalities of hair, iris, and skin (often white forelock and heterochromia iridis), and sensorineural deafness. The combination of WS type I characteristics with upper limb abnormalities has been called Klein-Waardenburg syndrome or WS type III. The combination of recessively inherited WS type II characteristics with Hirschsprung disease has been called Waardenburg-Shah syndrome or WS type IV. Usher syndrome is characterized by hearing impairment and retinitis pigmentosa. 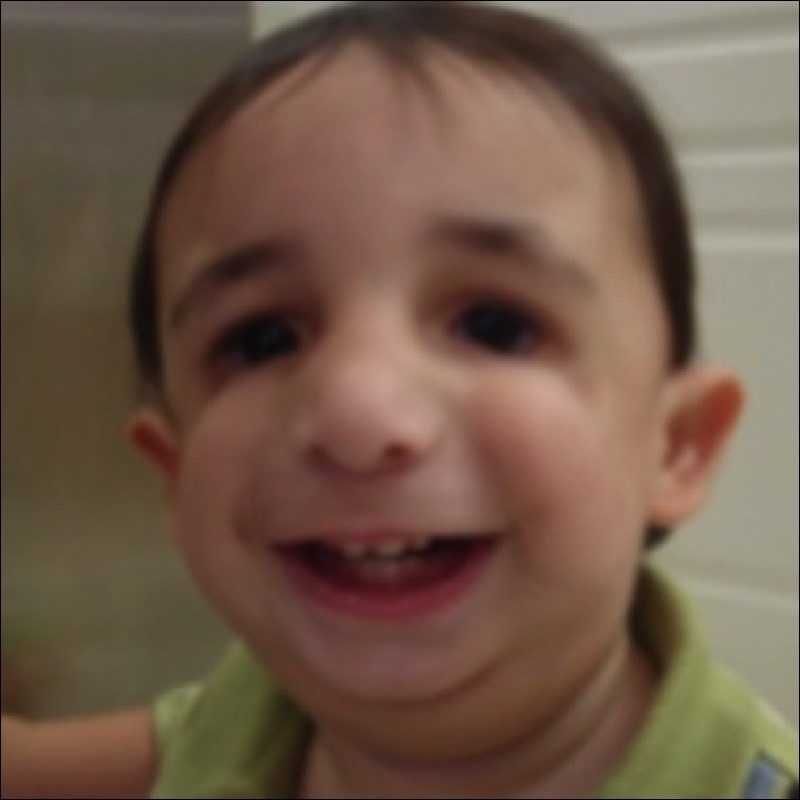 Usher syndrome can be classified into three different types on the basis of clinical findings. In type I, there is both hearing impairment and vestibular impairment. In type II, there is hearing impairment without vestibular impairment. In type III, there is variable amounts of vestibular impairment. Hearing loss is common in mitochondrial disorders including MELAS (mitochondrial encephalomyopathy, lactic acidosis, and stroke like episodes), Kearns-Sayre syndrome and MERRF (myoclonic epilepsy with ragged red fibers). These disorders are caused by mutations in mitochondrial DNA, and are characterized by muscular weakness, an abnormal muscle biopsy with "ragged red" fibers, and a variety of other findings that define the specific clinical phenotype. In MELAS, Sue et al recently reported that the hearing loss is caused by cochlear damage. It resembles presbyacusis in that it is generally symmetrical, gradual, and affects the higher frequencies first (Sue et al, 1998). Others have also reported hearing loss associated with mitochondrial mutations (Yamasoba et al, 1999). Mitochondrial DNA mutations accumulate naturally during life and are presently implicated as an important cause of normal aging. Mitochondrial defects have been reported to cause both unusual sensitivity to aminoglycosides as well as non-syndromic sensorineural deafness (El-Schahawi et al, 1997 -- this paper reviews mitochondrial deafness). Mohr-Tranebjaerg syndrome (DFN-1) is also thought to cause deafness via a mitochondrial disturbance. An update on current loci can be found on the hereditary hearing loss homepage, which is hosted by the University of Iowa. These types of abnormalities account for roughly 20% of congenital deafness, the remainder being genetic in origin. The normal cochlea has two and one-half turns. A cochlear malformation consists of a membranous abnormality, a bony abnormality, or a combination of these two. If cochlear development is arrested in the embryo, a common cavity may occur instead of the snail like cochlea. This is called the Mondini dysplasia or malformation. 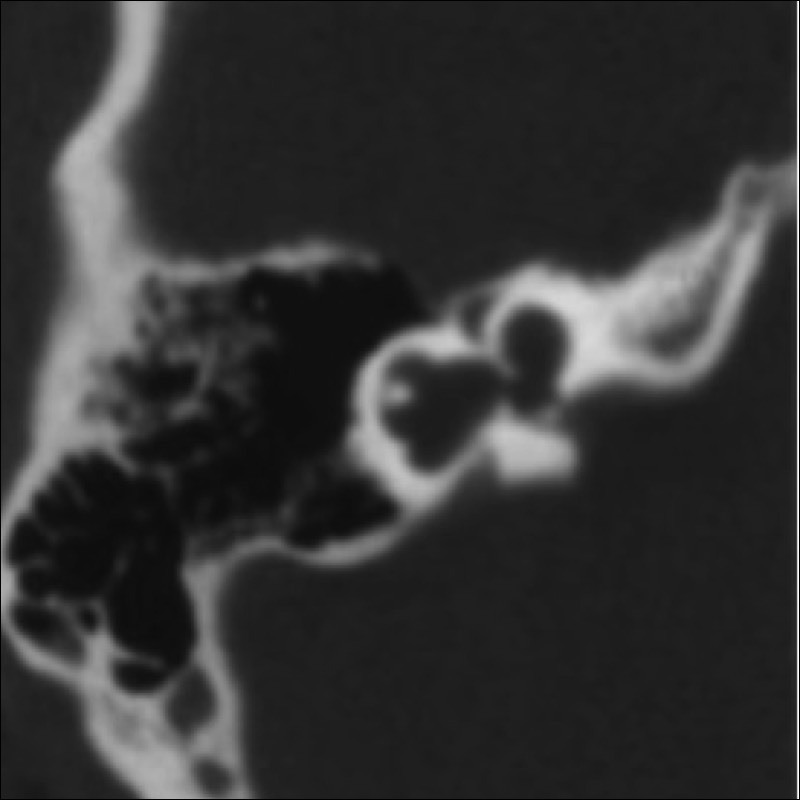 An example of a high-resolution CT scan of the latter is shown on the right (Strome et al, 1998). The black arrow shows a sac-like cochlea. The white arrow shows an amorphous vestibule without any defined semicircular canals. Often accompanying the Mondini dysplasia is abnormal communication between the endolymphatic and perilymphatic spaces of the inner ear and subarachnoid space. It is usually caused by a defect in the cribiform area of the lateral end of the internal auditory canal. Presumably because of this abnormal channel, perilymphatic fistulae are more common in this disorder. CT scans are not able to define abnormalities of the membranous labyrinth, but high-resolution MRI has been used to visualize these structures. A related anomaly and more severe syndrome, the CHARGE association, consists of coloboma, heart disease, choanal atresia, retarded development, genital hypoplasia, ear anomalies including hypoplasia of the external ear and hearing loss. These individuals have a Mondini type deformity and absence of semicircular canals. A recent report documents that they have normal otolithic responses to off-vertical axis rotation (Wiener-Vacher et al, 1999). First described by Valvassori, Enlarged Vestibular Aqueduct Syndrome is defined on the CT scan as a diameter greater than or equal to 1.5 mm measured midway between the operculum and the common crus. According to Murray et al (2000), coronal CT scan is the best view for evaluating it in children. Enlarged vestibular aqueducts can also be seen on high-resolution MRI. It may cause a fluctuating sensorineural hearing loss. Conservative management, including avoidance of head trauma and contact sports, has been the mainstay of treatment. Surgery to close the enlarged structure frequently results in significant hearing loss (Welling et al, 1999).